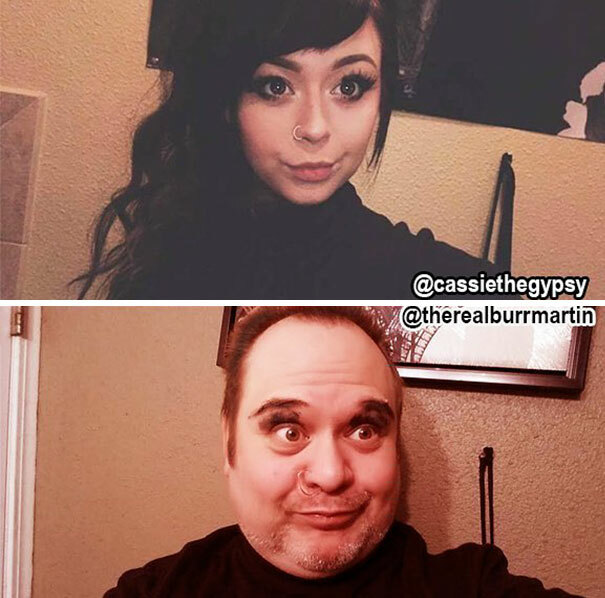 Chris “Burr” Martin is a podcaster and comedian, but you probably know him best as the dad who hilariously trolls his daughter’s selfies on Instagram. 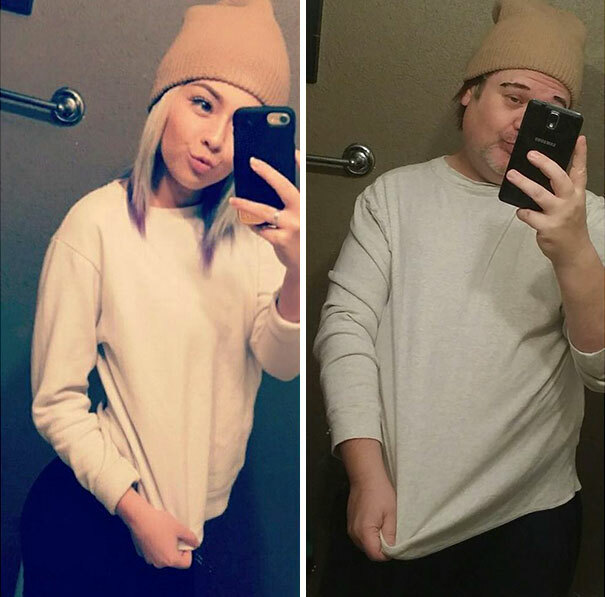 We’ve written about him before (hereand here), but since then his Instagram following has more than doubled to 135k followers (which is also double his daughter's following) thanks to his brilliantly fun and light-hearted shaming of Cassie’s selfies. 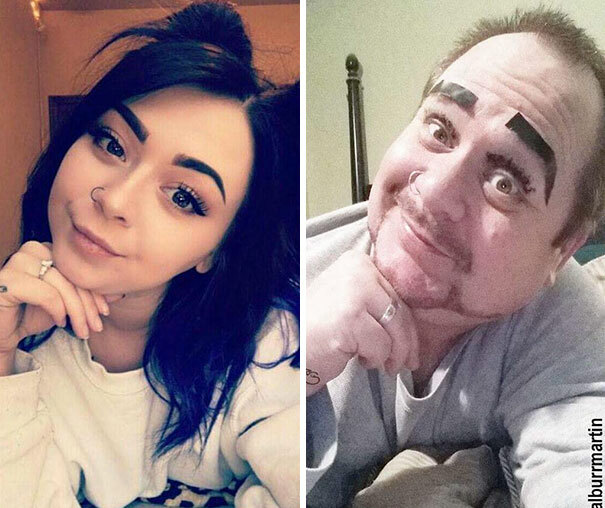 Whether he’s mocking her eyebrows, glasses, tattoos or poses, the Washington-based father faithfully recreates Cassie’s pictures while infusing them with a hint of his own trademark sense of humour. 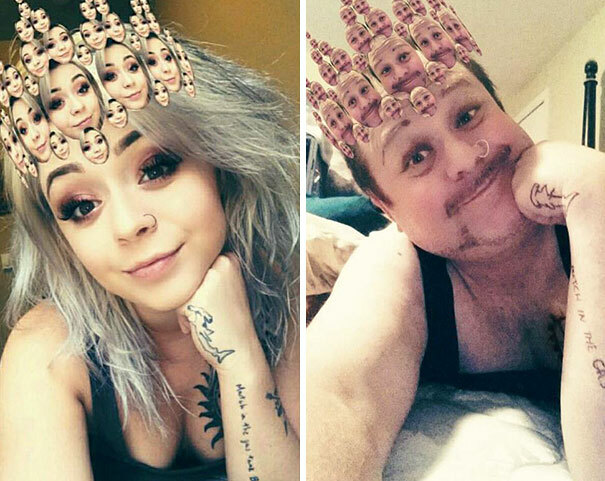 The result is both amusing and adorable, not least because he and his daughter have so much fun doing them. 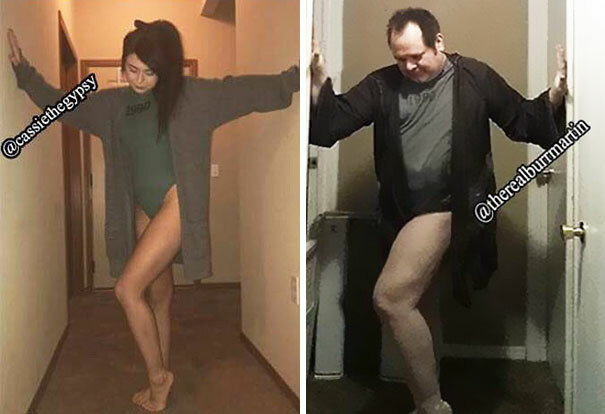 Don’t forget to vote for your favourite!